Here's another common question asked by a visitor to our website. "Hello, I am interested in the Valencia Gas Coal Basket. I would be using it in a fireplace insert that used to be used for wood burning to which a gas line has been installed. The insert has glass doors. Can the Valencia gas coal basket be used with the doors closed, and of course the flue open? Thanks - Michael"
YOU ABSOLUTELY CANNOT INSTALL A GAS APPLIANCE INTO A WOOD BURNING INSERT! 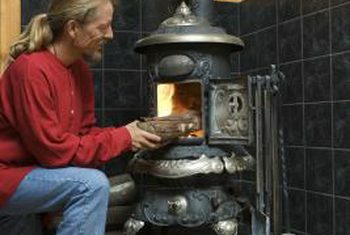 Wood stoves are meant to be used as a controlled combustion appliance, ie, using a small amount of air to burn the wood slowly to extract the most amount of heat from it. An open gas fire needs an EXCESSIVE AMOUNT OF AIR to burn properly. Failure to supply adequate combustion air, most especially by closing the doors on the insert, WILL CAUSE AN EXPLOSION. Houses have been blown up and people killed by doing this. PLEASE DON'T CONSIDER THIS! You would have to remove your wood stove in order to install a gas appliance in your fireplace.